It will occasionally be necessary to use a command prompt to interact with GMS. To do this you must use a command prompt with elevated administrator permissions. 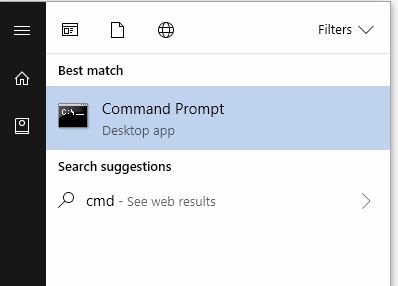 Right click the mouse on the “Command Prompt” program and choose “Run as administrator”. 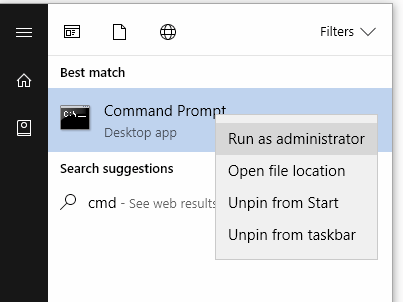 You will then be prompted to confirm you wish to run the application as administrator, and after this you will be using an administrator command prompt.